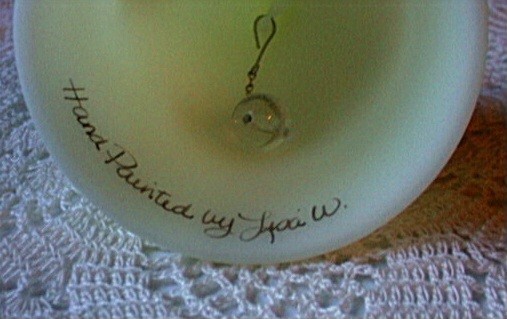 Fenton glass hand painted Daisies on Custard medallion bell The bell is artist signed on the inside. 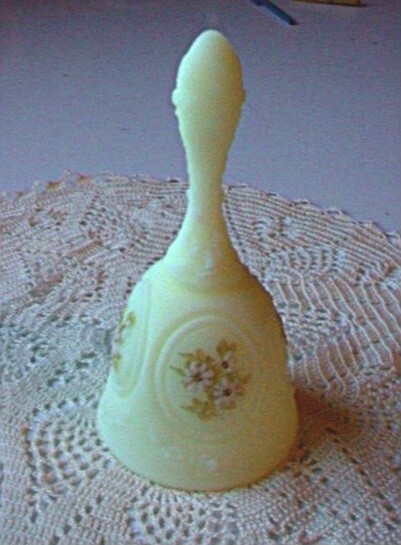 Fenton produced this bell from 1967-1981. It measures approximately 6 1/2" tall. It is in excellent condition with no chips or cracks and shows extremely little if any signs of wear.